While the advent and proliferation of cloud applications can be seen all over the communications technology and IT applications spectrum, there is perhaps nowhere else where it has become more ubiquitous then in the SMB contact center space. "2017 was the breakthrough year for the cloud-based contact center infrastructure (CBCCI) market There are over 150 CBCCI competitors world-wide, and hundreds of system integrators, value-added resellers (VARs), distributors, technology partners, and more, who are dedicated to building this sector. While this is positive for the market in general, it makes it difficult for customers who need to differentiate between the offerings." 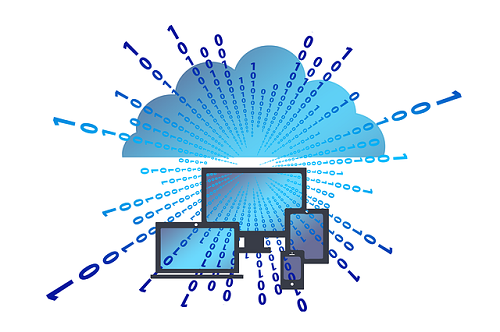 DMG estimates that revenue of the cloud-based contact center infrastructure market was at least $2.8 billion (excluding carrier revenue) as of the end of 2016. This represents only 11.4% of total contact center seats, so the revenue potential of this market is in the tens of billions of dollars. DMG predicts that the number of seats will grow by 22% in 2017, 22.5% in 2018, 23% in both 2019 and 2020, and then the growth will slow to 21% in 2021. Steve Forcum, senior technologist, architecture and innovation, at Avaya, sees two main contributors to this trend. First is the increased availability of the tools required to improve the customer experience for contact centers. The solutions in this space are smarter, more responsive, and more secure than ever before. Adopting solutions leveraging AI, the Internet of Things (IoT), and Blockchain requires substantial investments in both capital and resources, which put these technologies out of reach for many businesses. The cloud, and the work done to integrate these powerful technologies into solutions, has democratized access to these tools, meaning businesses of all sizes can deliver personalized customer experiences, which increases brand awareness, loyalty, and revenue. At the same time, businesses don't want to invest simply to "keep up with the Joneses." The ability to identify, quantify, and measure the impact these investments made in the customer journey is critical. Many businesses are adopting new ways of measuring what works and doesn't -- such as Net Promoter Score -- to paint a better picture of the impact the contact center has on performance, brand awareness, and revenue growth. And of course, AI came up as another important factor driving the increased focus on contact center. "It's time for contact centers to embrace AI or get left behind. A workforce augmented by proven AI solutions enables you to excel at every customer interaction while also driving real business value. When you introduce AI, you're introducing a new technology into a human environment, and to succeed, you need key stakeholders from across your organization to engage in the ongoing work of refining and upgrading your machine learning capabilities and core intelligence." As customers have demanded that merchants be more responsive to their needs and be able to resolve issues in a single occurrence, business attitudes towards customer service have changed over the years, thrusting the contact center into the forefront of customer-company engagement. To keep pace with client demands, businesses need to be able to meet their clients on whatever media their client chooses to contact them on -- voice, chat, SMS, WebRTC, email, video, or social media. When I asked one of my client's, Steve Devitt of Cigars International to summarize what he and his company expect from a modern contact center, he said, "In today's contact centers, you have to take a holistic view of the customer experience. You need to be capable of handling the customer contact on their terms, whether it be by phone, email, live chat, or text. In addition to being able to handle multi-channel communications, contact center analytics and workforce management software are key in operating a world-class contact center, and more importantly, providing the best possible customer experience. "In our search for new telephony technology, our focus has been on creating a hybrid solution -- on-premises, combined with cloud technology. This will provide the needed flexibility as we build and expand towards the future. While the contact management, skills-based routing, and workforce management will provide much needed improvements, the advances in speech analytics and voice recognition offer some exciting opportunities to really improve the customer experience." Another client uses their contact center to train interns and new hires. They feel that if someone is going to rise up through the ranks into management, there is no better place for them to learn about the company and how they conduct business, and to understand the business-customer dynamic. 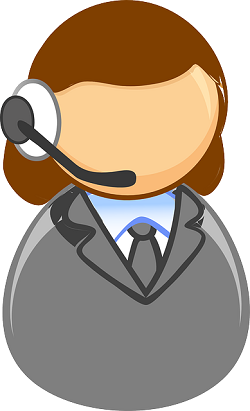 The old attitudes of the contact center being a necessary expense, is changing and the contact center is now being recognized as the first interaction that a client may have with a company. It is where a company has the opportunity to enhance brand loyalty, get real-time customer feedback, show the customer that their business is appreciated, turn a complaint into a positive and even up-sell a customer. This means screening and hiring higher skilled workers, providing better training, growth opportunities and incentives for agents to improve their skills and want to stay. "Noble Systems has been focused on improving productivity in Contact Center operations for 30 years. One area we are seeing growing interest in is with improving agent engagement, and specifically gamification. Gamification rewards agents for meeting business goals by using challenges and competitions that earn points, recognition and cash prizes. It's a win-win environment and helps increase agent productivity and retention which ultimately leads to greater customer satisfaction. Advanced gamification technologies use game mechanics to leverage both intrinsic and extrinsic motivators. In other words, agents are motivated not just to earn rewards or to gain personal improvement, but to achieve both, resulting in a more desired and repeatable agent behavior. This intelligent application of gamification is where we are seeing the greatest excitement."